The Queen of Soul left us at age 76 as the unbreakable link connecting Gospel, R&B and pop. Her stirring rendition of "Take My Hand, Precious Lord" at Martin Luther King Jr.'s memorial service in 1968. Her movie-stealing turn singing – and acting out – "Think" in 1980's "The Blues Brothers." Her shivers-inducing version of “Nessun Dorma” from Puccini’s “Turandot” at the 1998 Grammys, belted after she stepped in last-minute for an ailing Luciano Pavarotti. 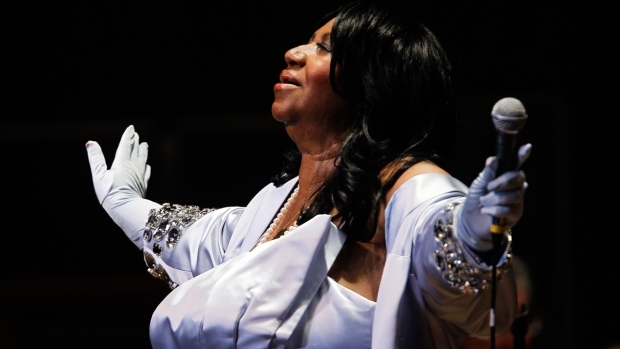 But Franklin saved perhaps her most impressive act for near the end of her career, when she drew a tear from then-President Obama and made the earth move under an ecstatic Carole King's feet with her time-and-heart-stopping take on "(You Make Me Feel Like) A Natural Woman" at the 2015 Kennedy Center Honors ceremony saluting the songwriting great. 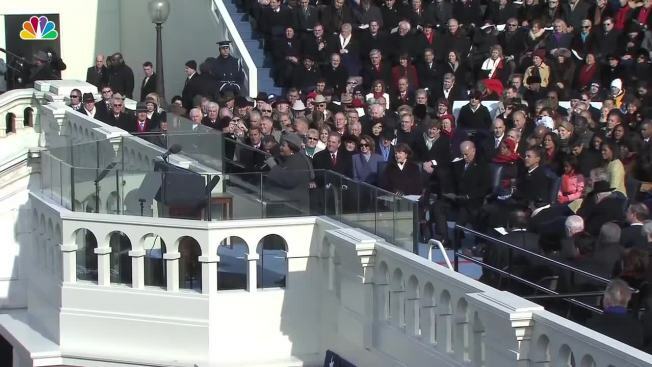 The performance offered a potent reminder of the many times Franklin's four-octave voice seemed to leap from the stage or the vinyl to pierce even the toughest emotional armor – as in "Chain of Fools" when she announces, "My doctor said, 'Take it easy'/Oh, but your lovin' is much too strong," backed only by the staccato beat of "oohs." Aretha Franklin died Thursday at age 76 of pancreatic cancer as the unbreakable link connecting Gospel, R&B and pop, earning a lofty spot in music history and a perch deep in our collective soul. The daughter of Detroit and the Baptist Church sang with an otherworldly power, yet delivered down-to-earth reckonings that played out in her most popular work, largely recorded in the late 1960s and early 1970s for Atlantic Records. Her masterful controlled urgency in "Do Right Woman, Do Right Man," where she told us, "A woman's only human/ You should understand/She's not just a plaything/She's flesh and blood, just like her man," might seem light years from her brassy biggest hit, "Respect" (“Ooh, your kisses/ Sweeter than honey/And guess what?/ So is my money!”). Still, Franklin turned the songs (both written by men) into declarations of independence. She also used them and other hits, like "I Say a Little Prayer" and "I Never Loved a Man (The Way I Love You)," to declare herself an artist in charge of her craft. 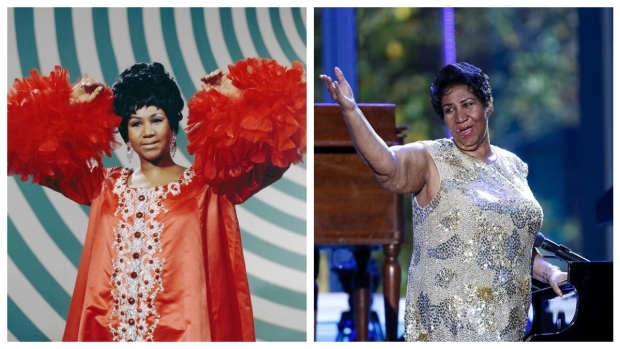 Franklin remade classic tunes as her own, from "Jumpin' Jack Flash" to "Bridge Over Troubled Waters" to "Spanish Harlem," helping land her as the first woman inducted into the Rock and Roll Hall of Fame. Franklin's impact – and supremacy – emerged at its clearest during the first VH1 "Divas" concert in 1998 when she joined King, Shania Twain, Gloria Estefan, Celine Dion and Mariah Carey on stage near the end and took over the show. The song: "(You Make Me Feel Like) A Natural Woman." It marked another memorable moment from the Queen of Soul, who inspired endless awe and respect during a reign of that will survive as long as anyone is ever in listening distance of her voice.